As I was getting my Gmail inbox down to zero last month I discovered a nifty folder where I stored emails that I wanted to blog about. Of course, I completely forgot about them once I put them in there. A lot of my plans have been sidetracked because of my car accident last Spring. They were pretty good plans, too. I was thinking of writing a book, posting embarrassing videos of myself on YouTube for internet fame, finding Brigham's gold in the mountains, and tagging Sasquatch. I dream big and fall hard. So you shouldn't be surprised that I didn't publish an excellent correspondence I had with reader Sandra J from the UK. Here is the conversation I had with her about coping with Depression without meds. Leave a comment and let me know what you think of the correspondence. Can you relate with her? Do you have different advice to give her? I have a question. Imagine yourself at one of those lowest points, when meds are not really working (work a few days then it comes back stronger) and you feel quite helpless despite having good friends who love you but don't understand because they don't have the type of depression you have, how would you cope? Imagine having a high level job and a lot of people expecting a lot of you on the top of it..........and being very far away from family as well as single. Trying to find a way to cope with it until the chemistry in the brain gets back on track that does not mean losing everything I have built for the last God knows how many years and emigrating to another country out of fear of having to face people and the consequences of my need to stop everything at the moment (and in theory really being unable to). Those are often the lowest points I live at. I can't use meds. I'm hypersensitive to the side-effects on one hand, and they don't work as advertised on the other. So I cope without meds. I use a lot of different methods. 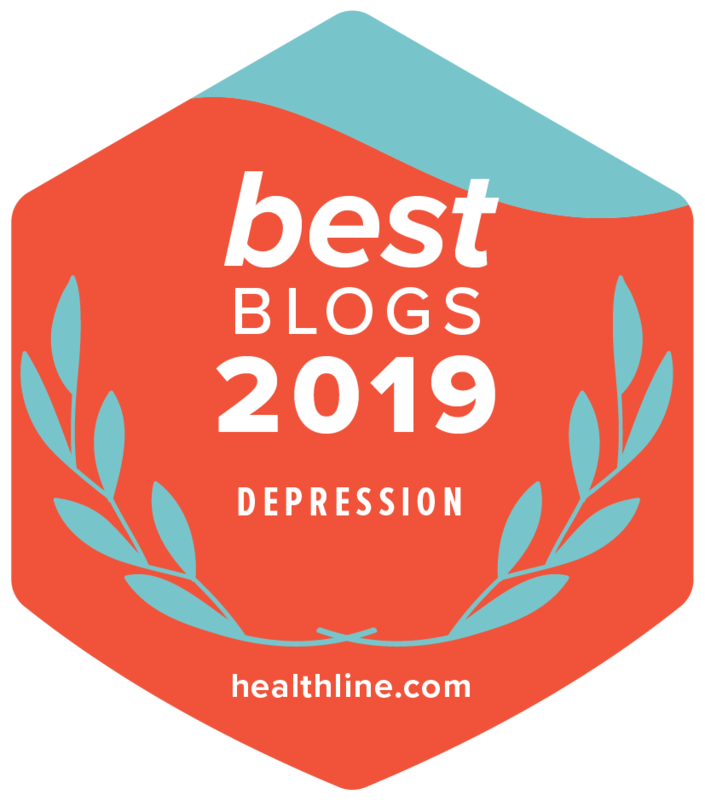 (I have written about them here: Depression: Ten Ways to Fight It Off, Part 1) I'm actually updating that blog as a book at the moment. I've learned a lot of new techniques and refined the old ones since I originally wrote that blog. Because I've been through the darkest years of Depression and lived through them, I know that in many ways, Depression is a trick of the mind. Meaning, my mind just thinks it's sad even though I don't have a reason to be. It's a chemical imbalance. Sometimes we have legitimate reasons to be down, but even then Depression tends to push the feelings into the extreme. So I've learned to offset the sadness by bombarding my mind with upbeat activities. At the worst, I gain a little balance and can alleviate the deepness of the sadness—enough so that I can breath and function for the day. At the best, I can push the Depression off entirely, giving sway to more positive moods. Frankly, I often get mad at Depression and fight it. I'm ornery. I remember losing years of my life to the darkness and don't want to ever let myself give into it again. I figured out how to do these things on my own, but then discovered cognitive behavior therapy, which was very similar to what I had taught myself. We can truly exert mind over mood. It just takes an awful lot of work on some days. We have to learn our triggers and develop coping strategies. We have to work at it. But when meds don't work, what else can you do but fight? 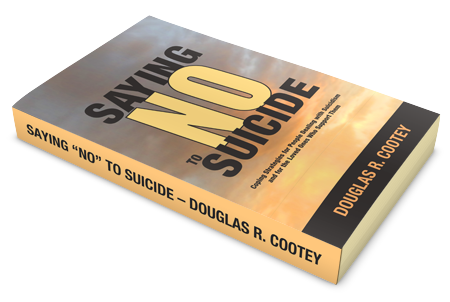 The alternative is to let Depression rule our lives, and that's no way to live. Those were some excellent questions. I hope that I addressed them properly. Would you mind if I used your letter for a blog? I would keep your name and email address private. I just think it would a beneficial post for my readers. Thank you so much for your reply, it is incredibly meaningful and important. I am an incredibly positive, optimist person, 99% of people have never seen me depressed, it’s only the closest ones who do, they all always say what a wonderfully positive, strong and brave person I am, which is indeed true, when the depression isn’t about…. I am sure you receive lots of emails with similar questions and from people who have actually given up or who have a tendency to just “accept being depressed”, I am not one of those, like you, I try to fight it so much and boy what a lonely journey this is so I thank you for sharing your experience and I thank you for having the same issues I have so I feel more “understood”. I live in the UK and depression is very badly treated here, there is almost no support (they say there is but all they do is give you meds and tell you to exercise and go for walks really). It’s frustrating because there are times you have no one to rely on, I know the weight depression brings to relationships (friends, family etc) so I try to keep it with me and only share it if I really need some “rational” support of some sort, but for weeks after I see how they remained concerned, because they obviously care. Like many manic depressives I have an enormous creativity and intelligence which is at its best when I am manic. Sometimes it lasts for many months not days or weeks. To some extent, my manic depression has made me successful because without it I would not have been who I am as a person and as a professional. It has brought outstanding friends to my life as well as outstanding results in terms of achievements during the manic times. I am at that lowest point you know very well at the mo. When waking up is horrendous and we really think a lot of suicide knowing very well this is something we would never do to ourselves and even secretly giggling at the thought. It’s a ███████ beast I tell you, I often welcome her in and offer her tea (when I can’t escape the bloody thing) to be civilised to it! I will read about your techniques with great care. Just to let you know, it’s working! Thank you so much for sharing your own techniques and discoveries, reminding me that it’s a trick of the mind and making myself laugh at my own thoughts even has been a bliss. I hope you found this correspondence helpful. I know that some people feel stuck when medications don't work. I can completely relate. The illness I've been suffering from since December 2012 has a hold on me again, and the three doctors and specialists I have seen cannot help me. Each doctor gave me a different medication regimen to follow. And still I was sick. Sometimes we don't respond well to meds, so we need to look elsewhere for help. Maybe that help can come from therapy. Maybe that help can come from good times with friends and family. Maybe that help can come from me or other bloggers dealing with Depression. Whatever you do, try hard not to despair. Even putting one foot in front of the other can be a major victory when dealing with Depression. Keep fighting.